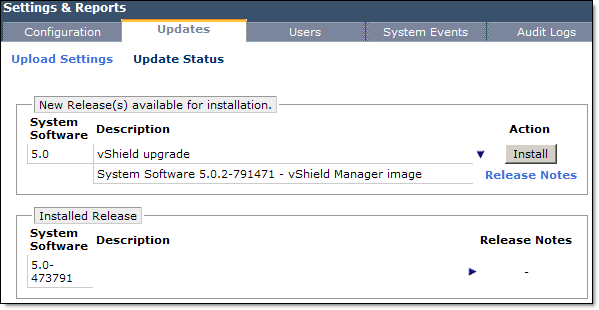 We are currently in a process of upgrading out VMware environment to 5.0 Update 1 and therefore need to upgrade vShiled Manager and Vmware Endpoint. We managed to get Trend Micro Deep Security Virtual Appliances under control (See my “Trend Micro Deep Security: Anti-Malware Engine Offline” post) and did not want vShield Manager upgrade to break them. It does not matter what application, vCenter Server or vShield Manager / Endpoint, you are going to upgrade first, works either way. Click on Test Connection and confirm the connectivity. Reactivate DSVA (Trend Micro Deep Security Virtual Appliance) in TMDS Manager. All DSVAs did not report any problems and virtual machines got protected as soon as they were vmotioned back to the upgraded host. I also checked that Endpoint configuration did not have duplicated values.